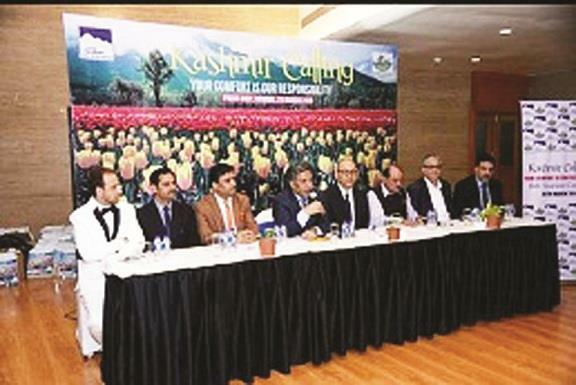 “We have started with Mumbai as J&K gets bulk of its tourists from the western part of the country," said Ganai adding that the Government is planning a Tourism Conclave in Srinagar around the Tulip Festival next month. “Every winter is followed by spring and Kashmir is also entering the spring with the Tulip Festival next month. He said the blossoming of tulips was delayed this year because of the heavy snowfall resulting in extended cold conditions,” he said. “We want tourist to come and be our guests. We will do everything, possible make your stay comfortable and safe," he said and added that he was overwhelmed by the response and sentiment of the tourism and travel players in Mumbai towards Jammu and Kashmir and its people. Speaking on the occasion, Sudhir Patil, President, Maharashtra Tour Operators association (MTOA) said Maharashtra and J&K have traditionally been very connected with each other as far as the tourism industry is concerned. "J&K has the privilege of receiving the highest number of travellers from the State of Maharashtra. J&K, which is number one tourism destination as for as its pristine beauty is concerned, enjoys full support from the people of Maharashtra and also by its Bollywood filmmakers for long," he said.